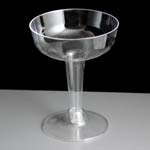 Your James Bond party will not be complete with a martini glass! 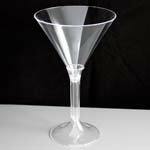 A choice of disposable, reusable or virtually unbreakable polycarbonate plastic Martini glasses are available. These are ideal for a range of different events or use in licensed bars, restaurants or clubs. 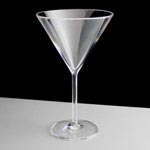 The plastic Martini glasses that we stock are a perfect alternative to glass and very cost effective, too. Please contact Cater 4 You today on 01494 511950 or email info@cater4you.co.uk to find out more about our plastic martini and cocktail glasses.